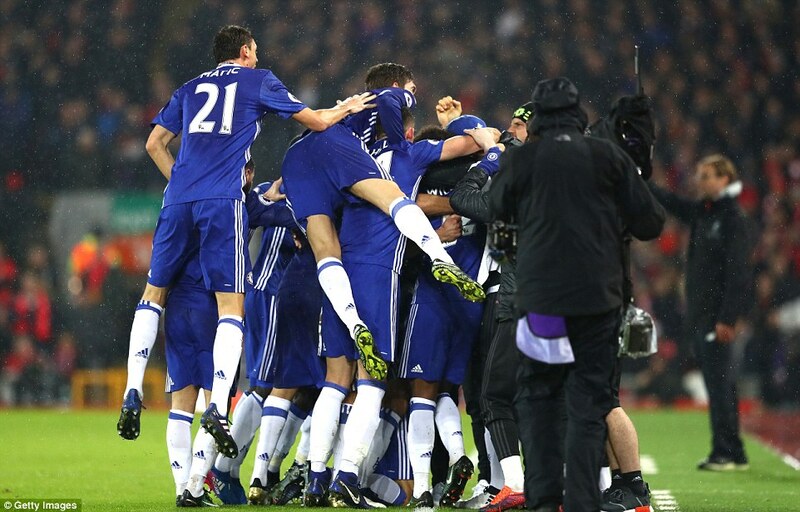 A missed penalty, two points dropped, but this was still a very good night for Chelsea. 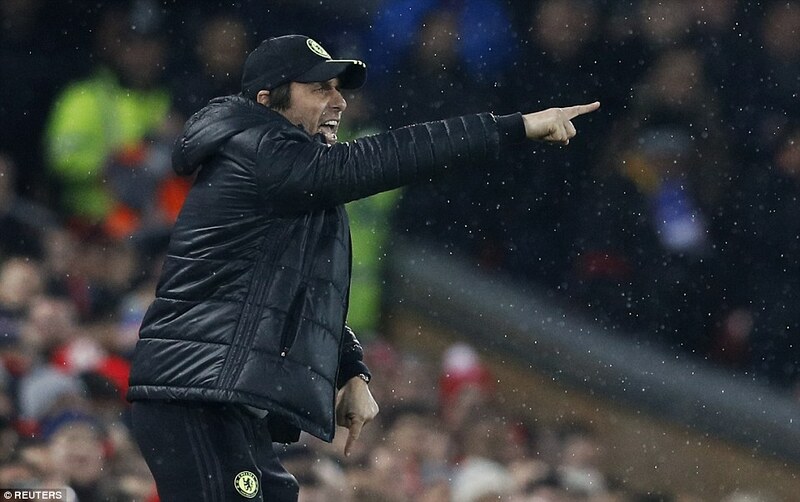 No doubt when Antonio Conte’s players returned to the dressing room they were told of Arsenal’s shocking home loss to Watford and Tottenham’s draw at Sunderland — and one look at the league table will have made it a very pleasant journey home from that point. This result keeps Liverpool at something more than arm’s length, 10 points off the lead, while Chelsea actually gain ground on Arsenal, who started the night in second place, and do not lose any to Tottenham. 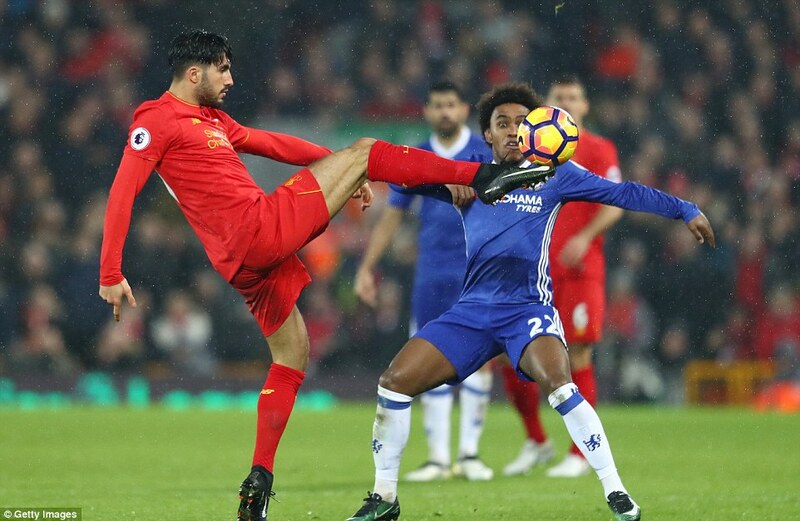 The only disappointment from the blue perspective was that had Diego Costa scored from the spot, it could almost have been game over. 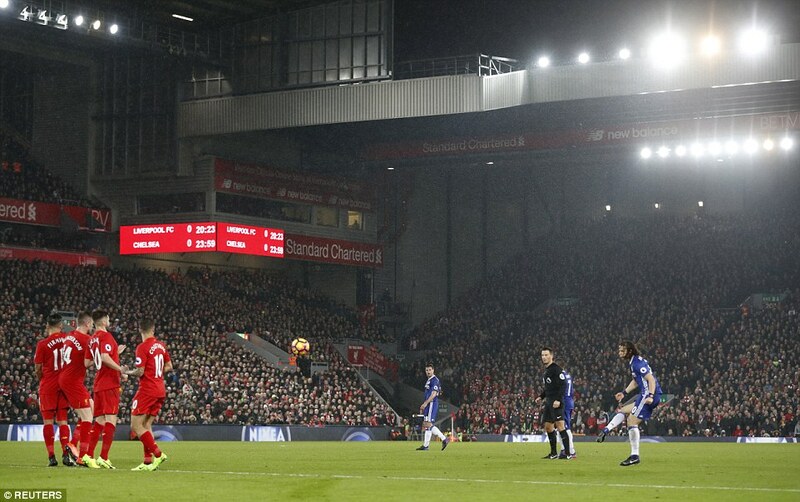 David Luiz fired Chelsea ahead against the run-of-play with this quickly-taken free-kick on 24 minutes. 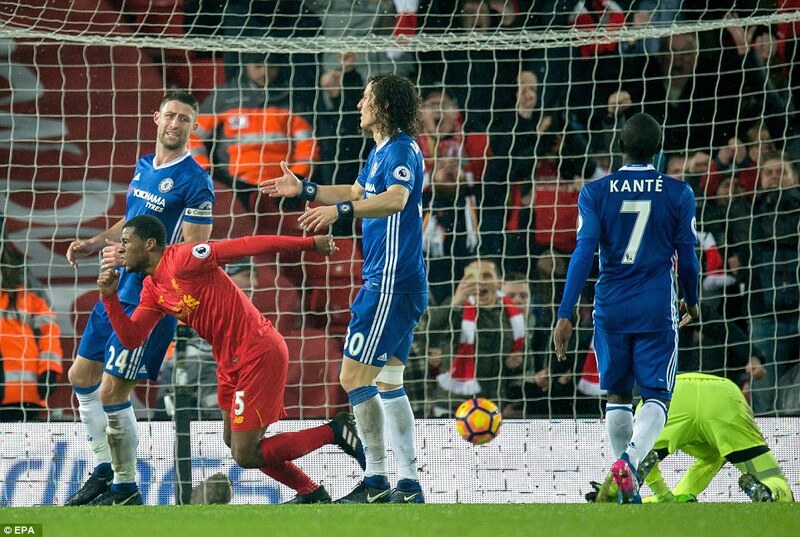 The Premier League leaders were pegged back when Georginio Wijnaldum headed home from inside the box. Maybe it is now, for Liverpool. The locals left happy because, on the night, Liverpool were probably the better team and at least they had a go but, once again, the league table shows the reality. It is not just the distance separating them from Chelsea that should be of concern, but the commotion below. If Manchester City win at West Ham on Wednesday night, they will be level on points. If Manchester United beat Hull at Old Trafford they will be just two points adrift. There is a squeeze at the top and five into three doesn’t go. Forget the league leaders. For the moment, Chelsea are above the escalating scramble. 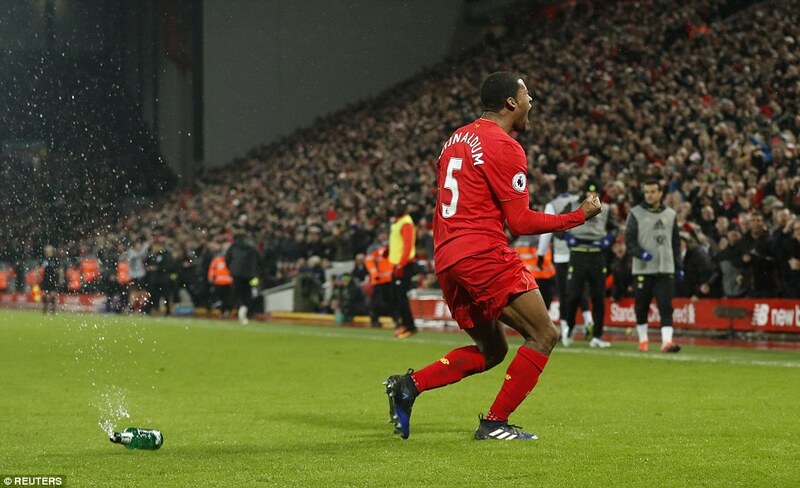 So while Georginio Wijnaldum’s header meant Liverpool got what they deserved, what they took from this game amounts to little but pride in terms of the title race. True, Liverpool looked the better side for long periods, but no points are awarded for endeavour or artistic impression. 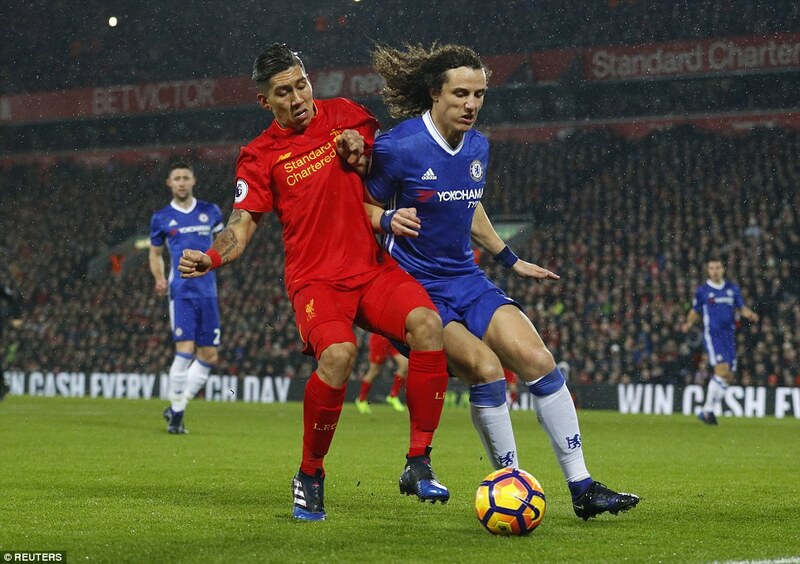 There was something admirable about Chelsea’s resistance, too, and the way they kept trying to win all the way to the end. They are never scared to make an agricultural clearance, but not frightened of committing bodies to the fight farther forward either. 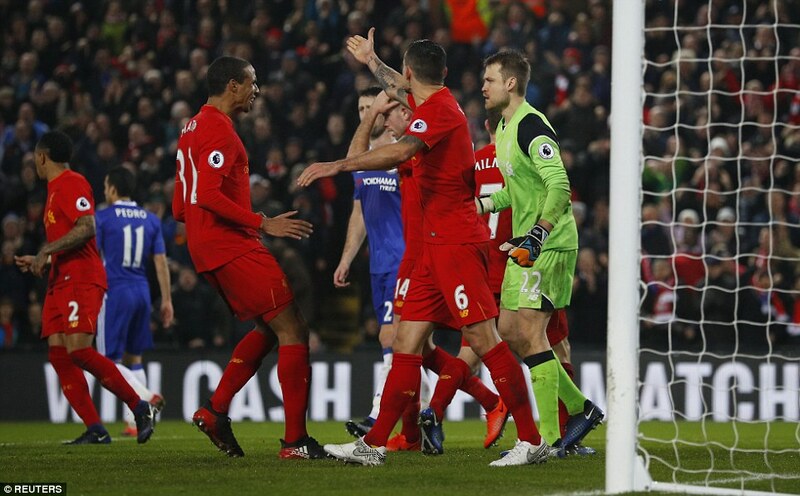 I was appalled to see Jurgen Klopp appear to scream in fourth official Neil Swarbrick’s face after Simon Mignolet saved Diego Costa’s late penalty. Enthusiasm is one thing but that was too much from the Liverpool manager. 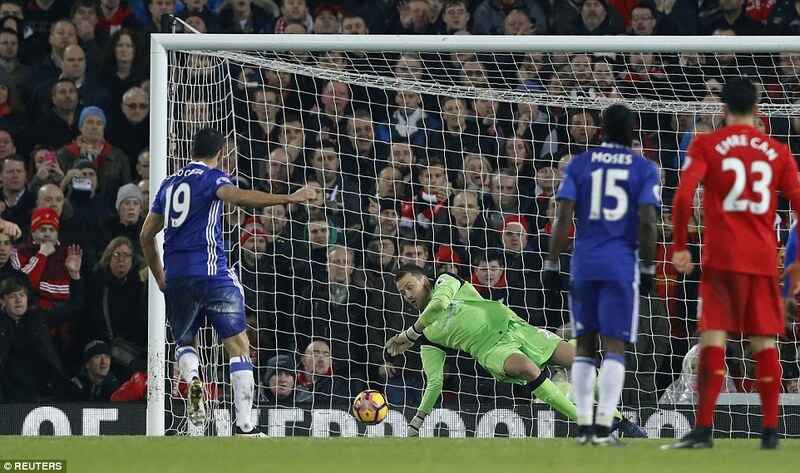 Referee Mark Clattenburg had shown why he was rated best in the world in 2016 when awarding Chelsea the spot-kick in the 75th minute. 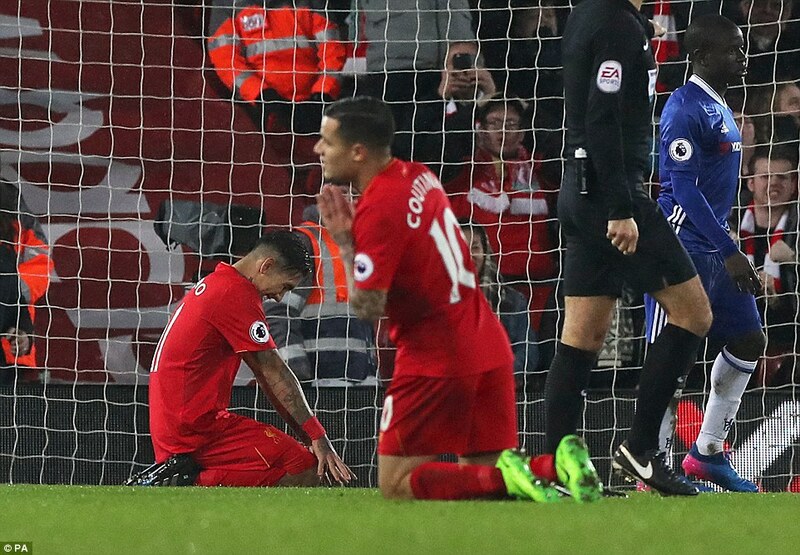 He kept up with play and saw Joel Matip dangle a leg and trip Costa. It seems referees simply can’t win, even if they’re as good as Clattenburg. 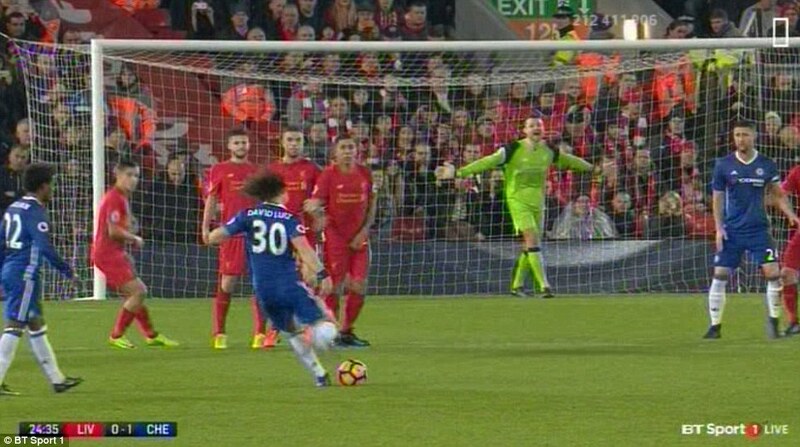 When Liverpool conceded the opening goal to David Luiz’s quick free-kick, there was an attempt to blame the ref. 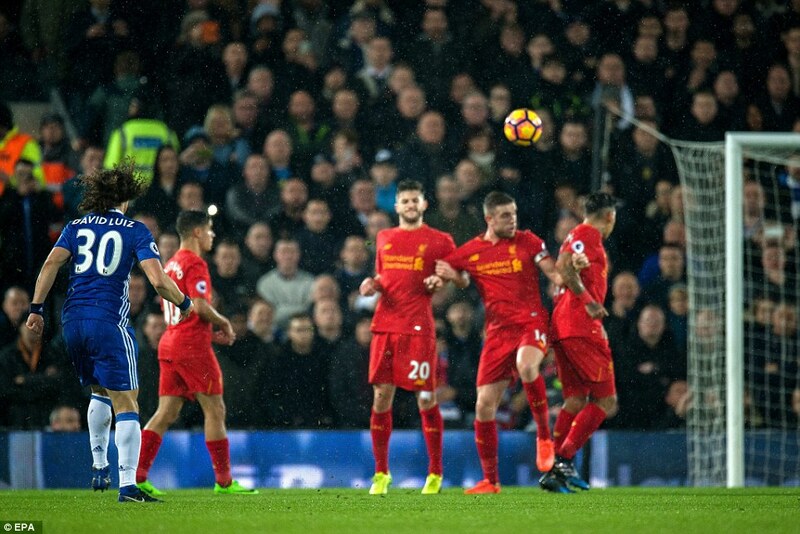 Pundits thought Clattenburg hadn’t indicated for the free-kick to be taken but replays proved he had, meaning Luiz’s strike was legal. 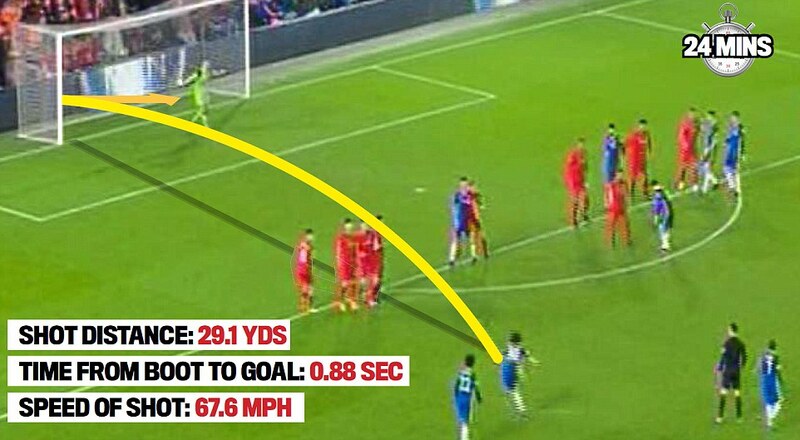 Even the award of the free-kick was analysed. 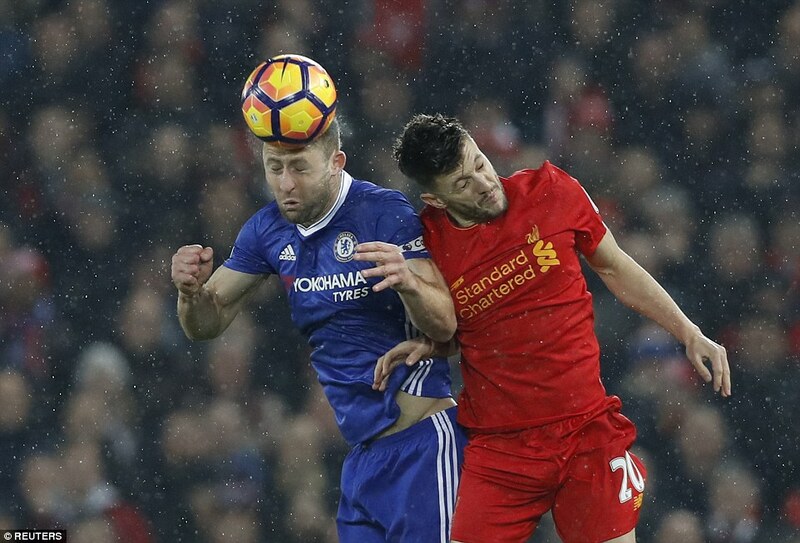 Replays showed the decision for a foul on Eden Hazard was debatable, but do we really expect reviews of all set-pieces? 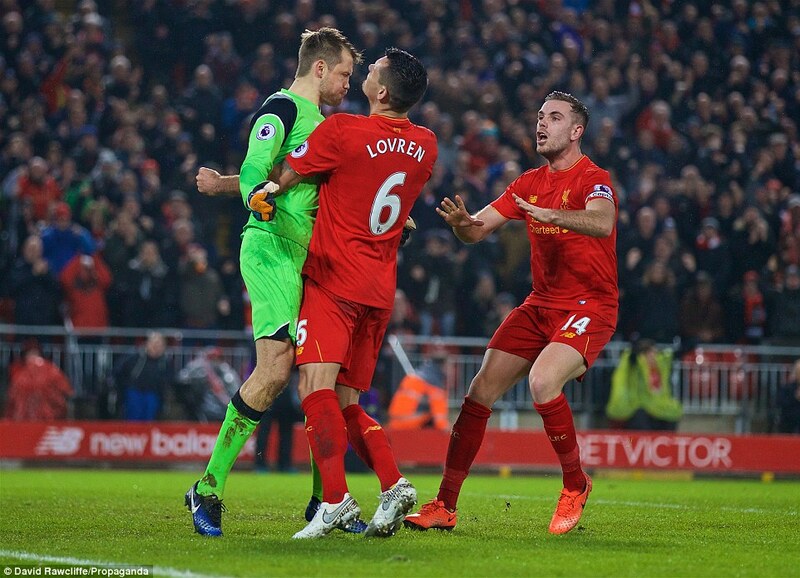 Liverpool defended really poorly — it is they who deserve the blame. 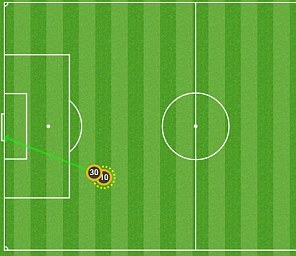 As well as Costa’s lame penalty, they could have won the game in the 90th minute when brilliant work from N’Golo Kante on the left found Pedro in the middle, shooting just wide. 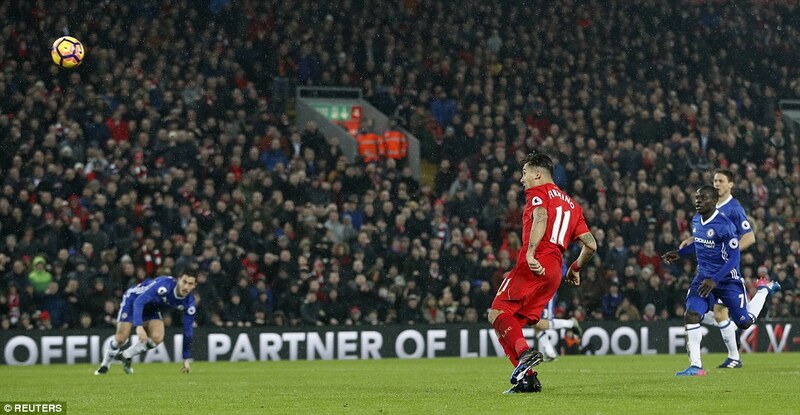 In injury time, Roberto Firmino had a close-range header saved, one of a number of chances he might have converted with a calmer mind. Yet it was that type of night. 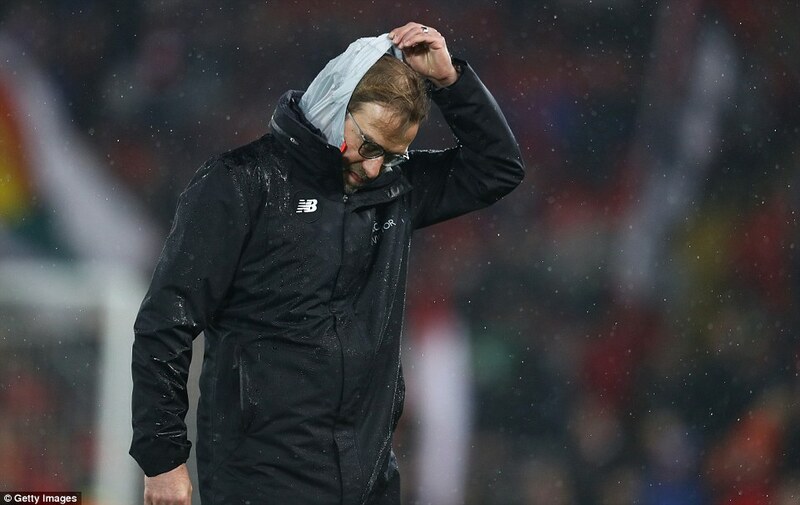 Not the greatest football, all sound and fury, and with too much at stake, for Liverpool at least. Yet for all their sweat they would have got nothing at all were it not for that Costa penalty, and an equalising goal that encapsulated their perseverance. It came after an intense period of pressure. 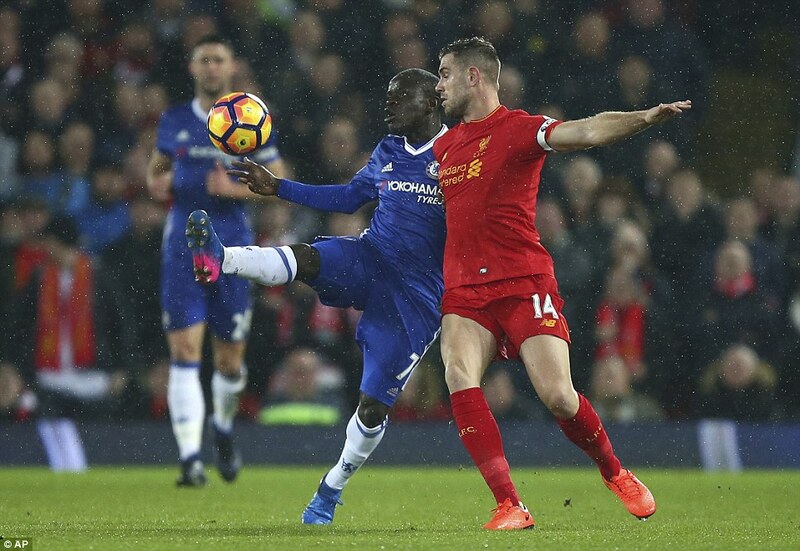 Chelsea got the ball clear only for it to be smartly recycled by Jordan Henderson, sending a cross deep into the six-yard box. 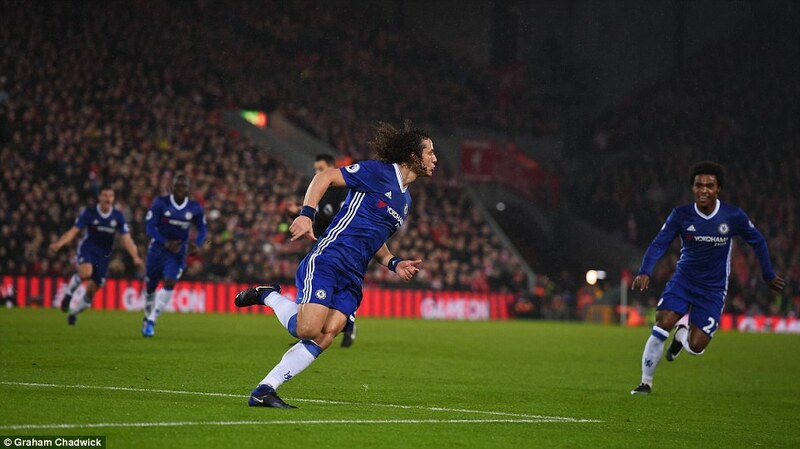 It was met by James Milner, who did magnificently to head it back across goal and there was Wijnaldum, getting in front of David Luiz to steer the ball past Thibaut Courtois. 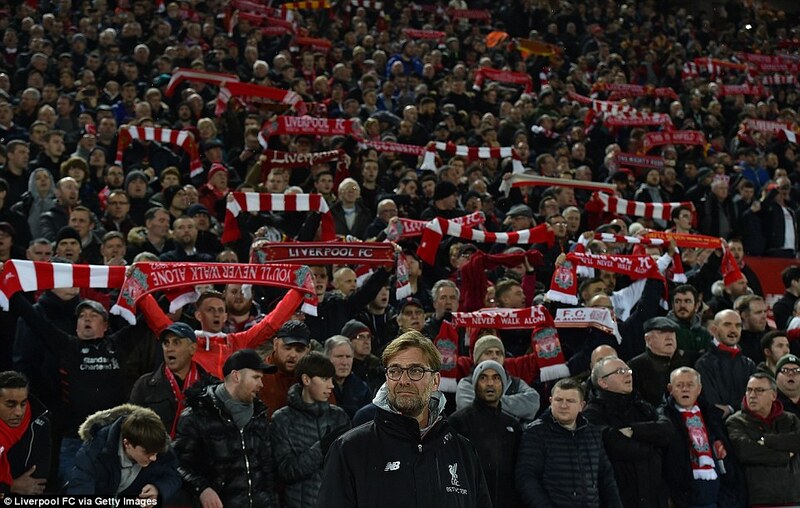 Anfield went up in decibels and it began to look as if the resistance to a Chelsea procession had finally arrived. Yet, just as Sadio Mane came on from a final-15 minute tilt at a winner, and the voices were at their fullest — calamity. 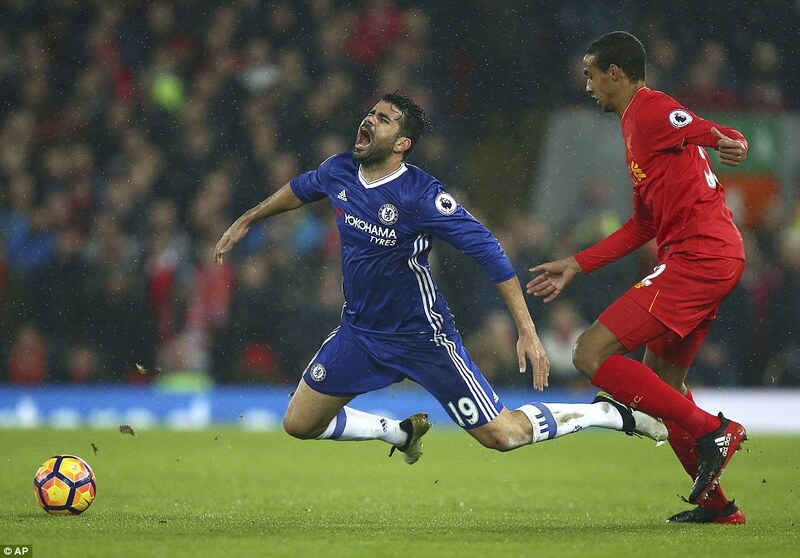 Dejan Lovren gave the ball away and Chelsea broke, through Costa. 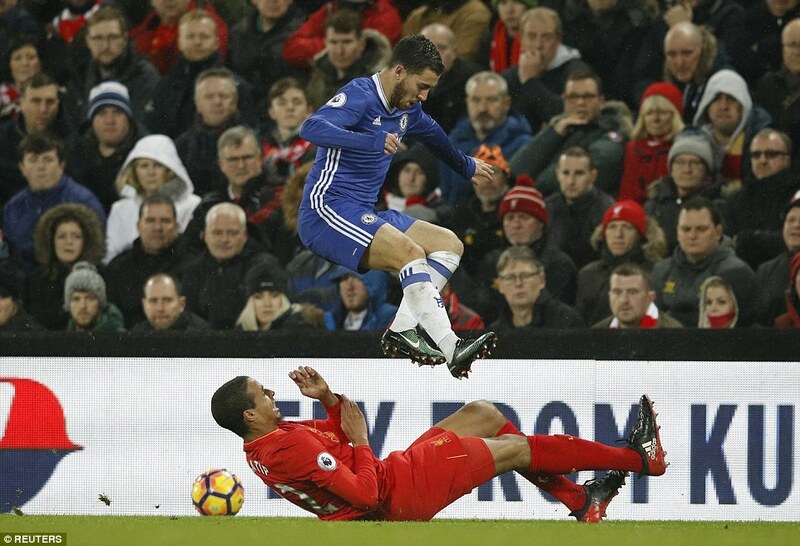 He stepped inside Joel Matip, who stuck out a leg and Costa fell. Yes, he made the most of it. Probably, though, it was a foul. Either way, Mark Clattenburg decided to ignore the studied tumble and focus on the infringement. Penalty to Chelsea. 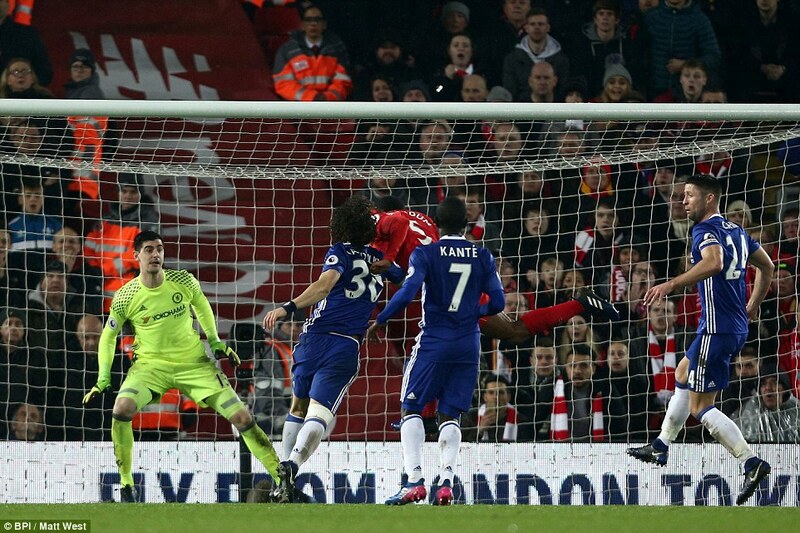 Costa stepped up, hit a weak one to the left, and Simon Mignolet saved. To most inside the ground, justice was done. Whether that is true or not, those who were hoping the title race might go to the end of April breathed a sigh of relief. 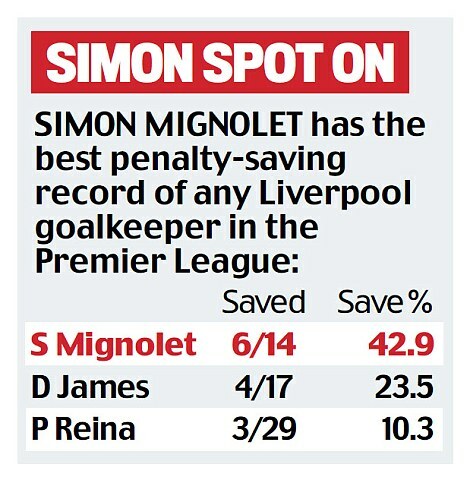 It was redemption for Mignolet, too, after his embarrassing part in Chelsea’s goal. 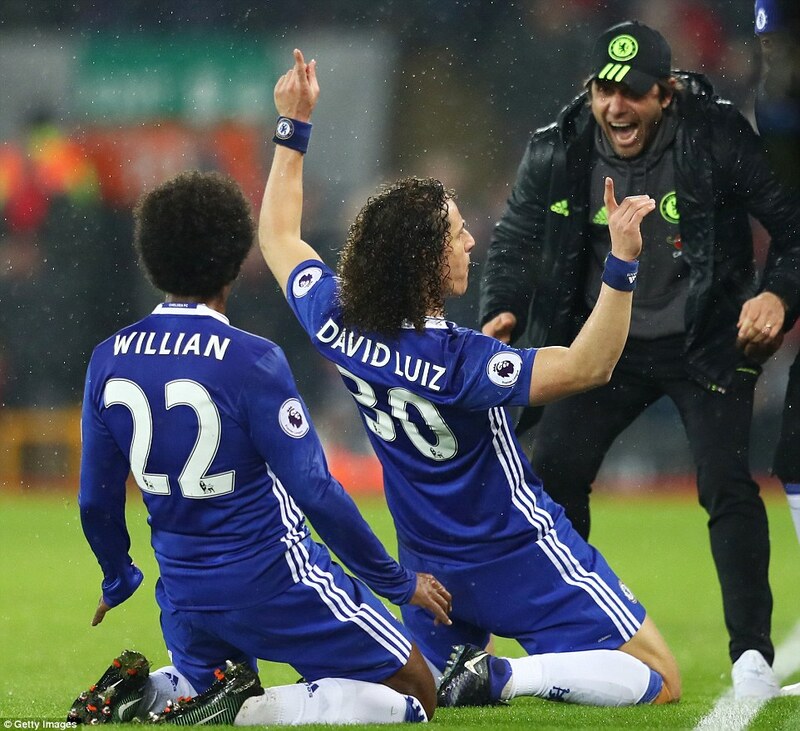 On the final day of the last transfer window, Luiz was in the headlines with his surprise return to Stamford Bridge and he marked the close of the January sales in some style, too. Although this wasn’t about business, but pure pleasure. There is a reason Luiz’s popularity as a footballer extends beyond Stamford Bridge. He is an entertainer, a showman, he adds to the gaiety of nations. Not too many centre halves can boast that. It is the strikers who capture the attention, usually, the jinky wingers, the magicians in midfield. Central defenders tackle, they head the ball away, they kick lumps out of folk. And Luiz can do all of that. But he does more. He takes risks, he has a go, he contrives to be a little cheeky, to play as if he is enjoying the game. 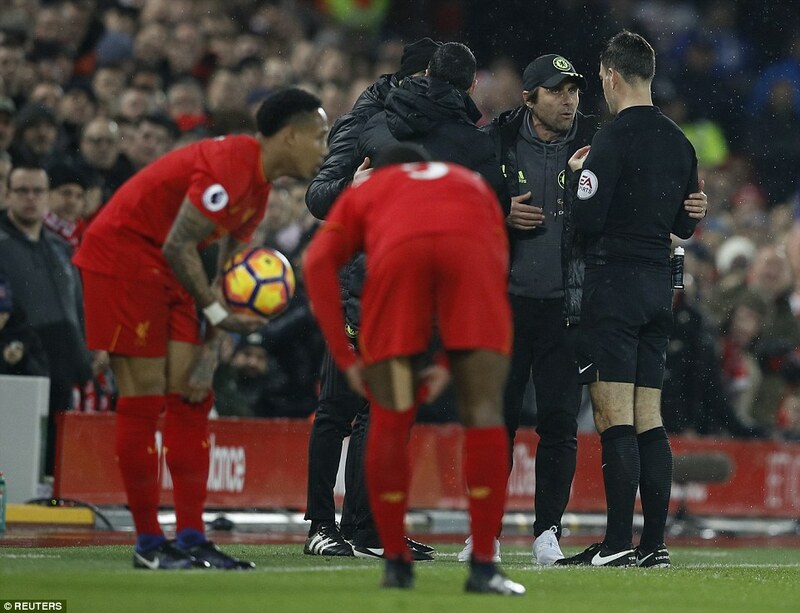 Jurgen Klopp, Liverpool’s manager, was asked prior to kick-off what his team needed to do to win. ‘We need to annoy them, be a little bit brave, play with a big heart, be angry, have fun,’ he said. All those boxes were ticked — but by Luiz. He certainly annoyed the locals with his combative approach, he was brave, shrugging off a first-half injury, and he always plays with a big heart. He’s still a defender, mind you, so anger is never far from the surface, but the fun? 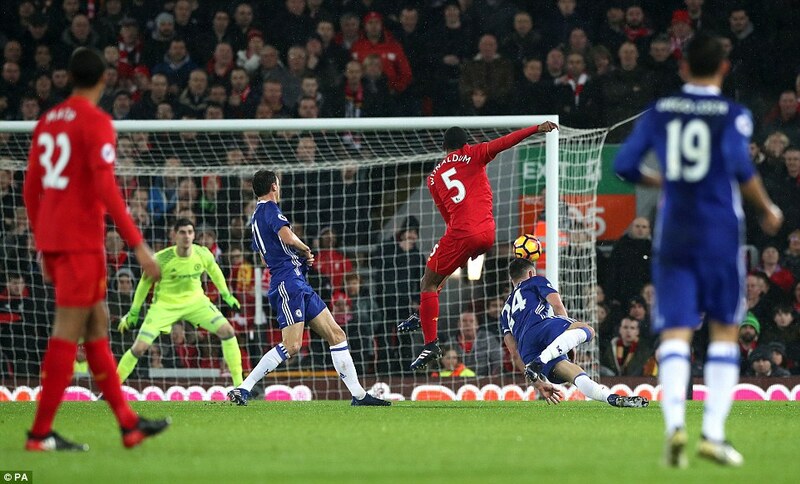 It was all there in that Chelsea goal, a player not afraid to make himself the centre of attention, to risk looking a fool if the upside is becoming a hero. 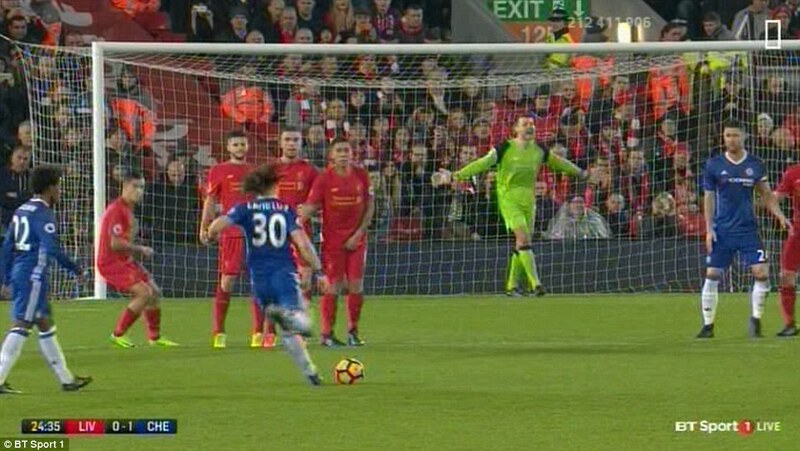 Imagine if his kick had gone high and wide, or had been simply caught by Mignolet. Imagine had it gone in only to be recalled by Clattenburg. Imagine if Luiz had been ticked off and told to play to the whistle in future. He would have been mocked on all sides of Anfield. 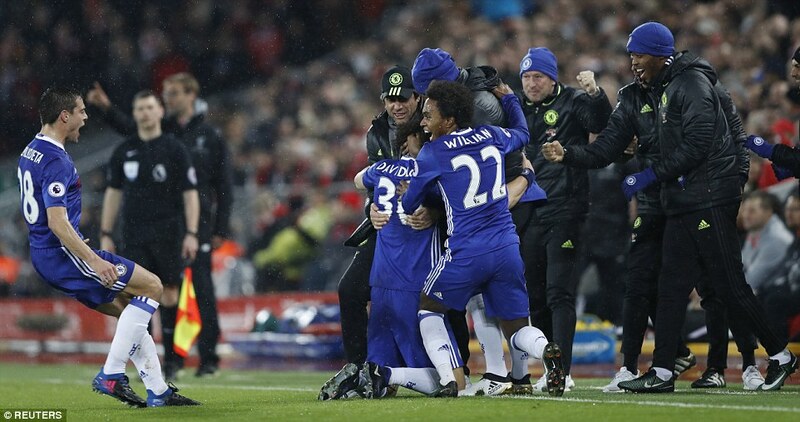 Instead, he wheeled away in celebration, Chelsea ahead against the run of play. 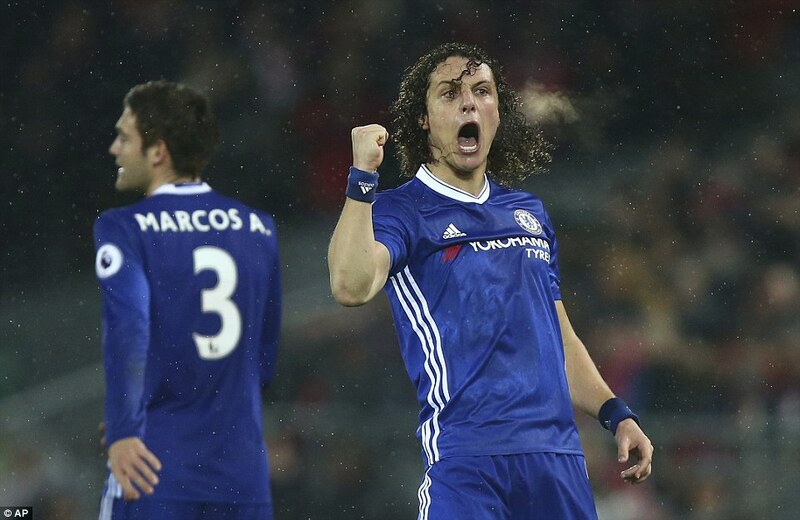 Luiz had gambled and it paid off. Luiz scored: for fun, and for real. Full credit to him for the technique, and for thinking quicker than the rest. 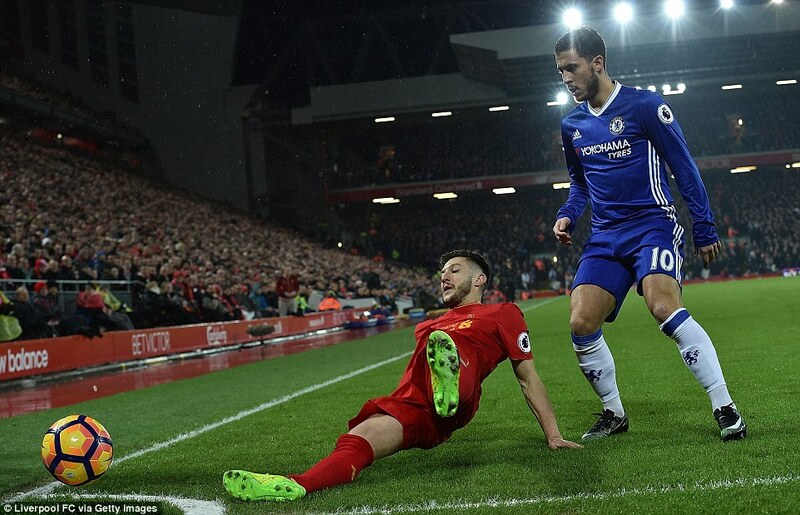 When Adam Lallana brought down Eden Hazard after 25 minutes, most saw it as an opportunity to take time out to regroup and reorganise. 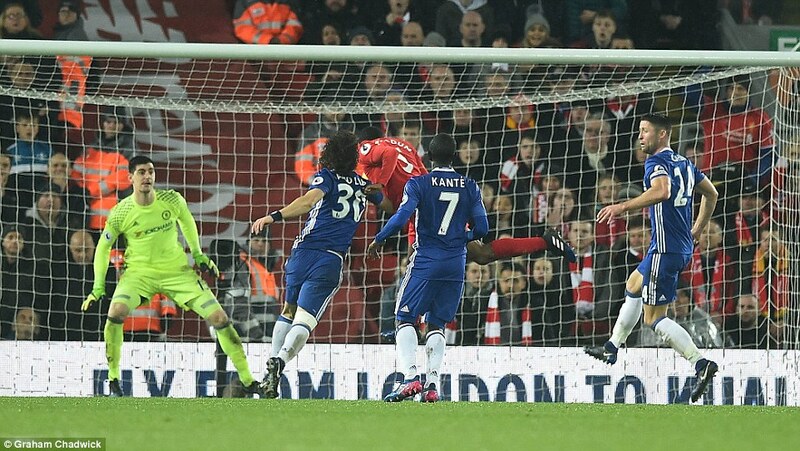 Willian was over the ball trying to find his range, Liverpool were loosely structuring a three-man wall. 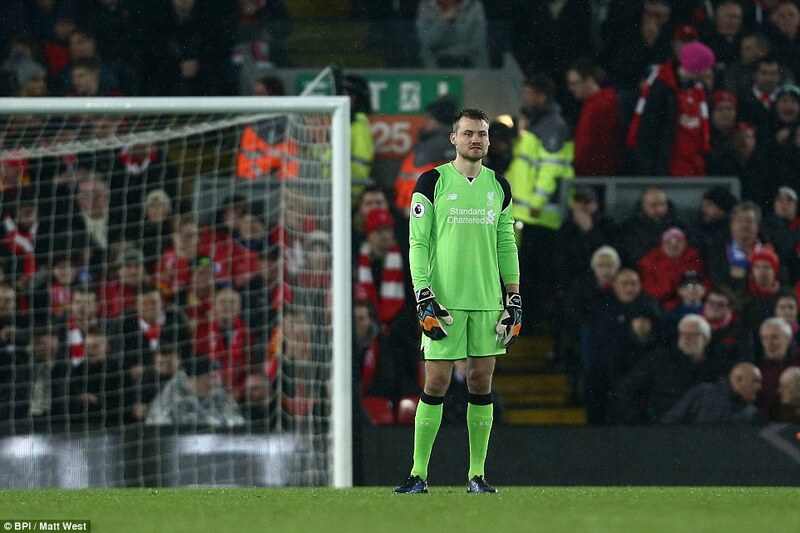 In goal Mignolet was least prepared of all, back on his heels waiting for a typical set-piece, except there is little about Luiz that conforms to the typical. So, spying an opportunity, he began his run. 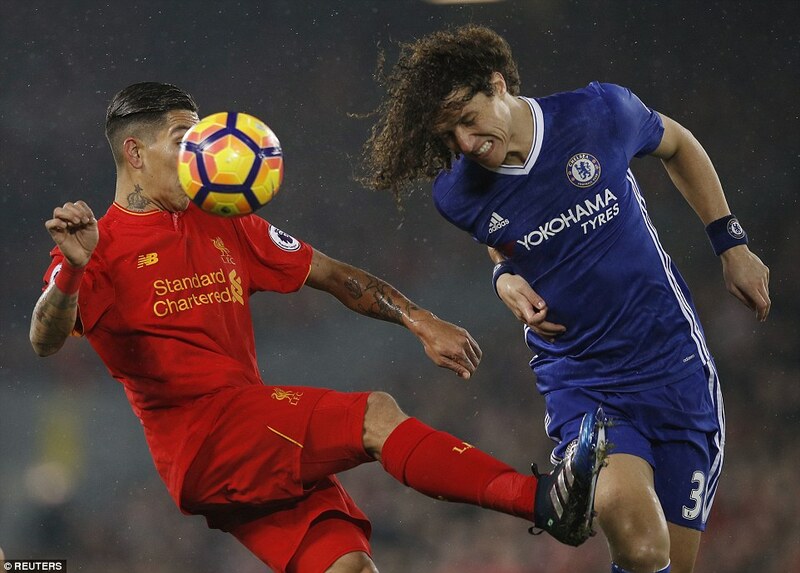 Whether Clattenburg spotted it and responded, or the timing of his whistle was merely a happy coincidence we cannot say, but from Luiz’s point of view it all came together perfectly. 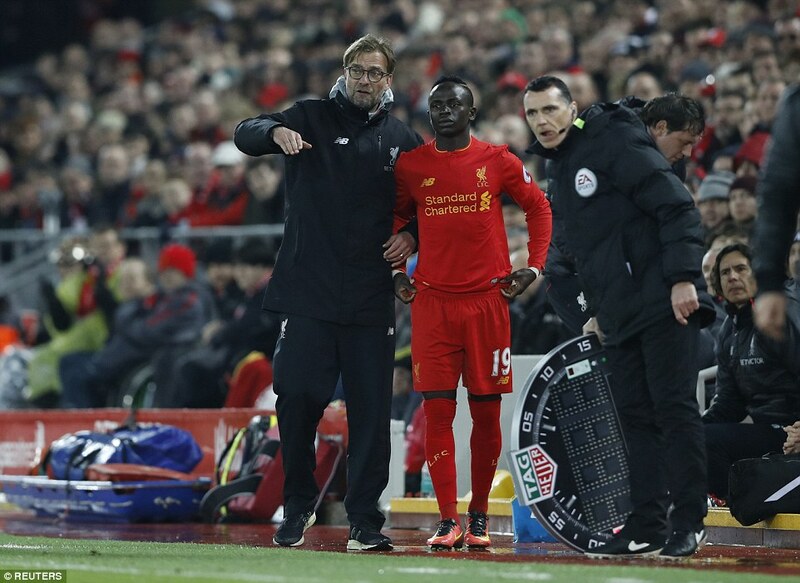 Clattenburg blew when he was three strides from the ball, meaning Liverpool were utterly unprepared for the hit. 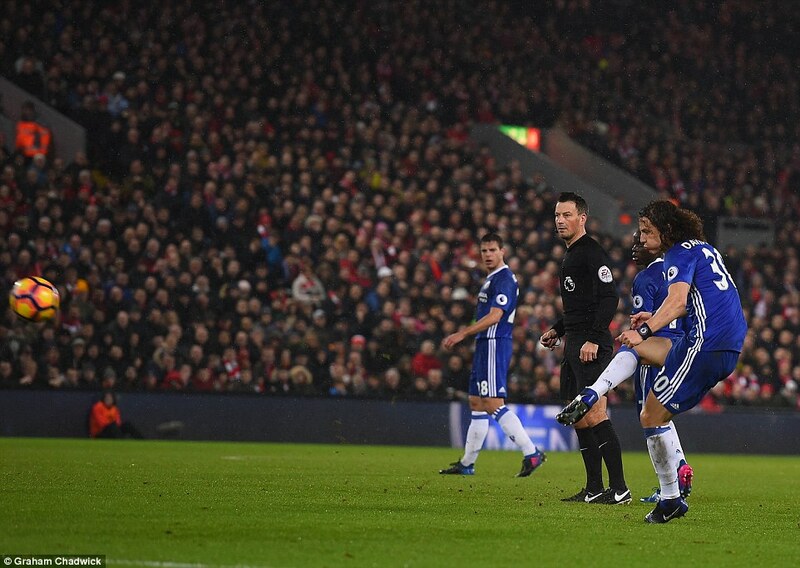 Even so, Luiz’s aim had to be spot-on or it would not have worked. And it was. 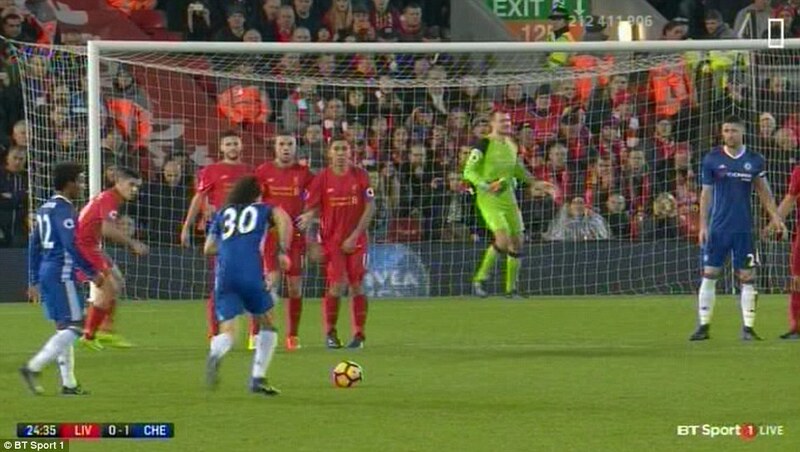 He lifted the ball over the wall and it went in off the inside of Mignolet’s right post, the goalkeeper standing bemused by developments. 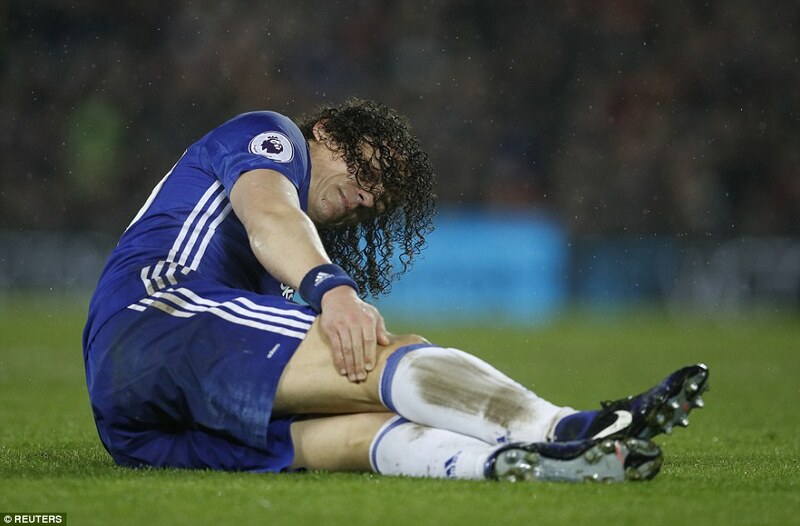 By the time he responded to Luiz’s ingenuity, Chelsea were bouncing for joy over by the near touchline. And probably on the coach home, too. Even Costa, certainly Luiz.